The Fort Lauderdale Strikers today announced the signing of World Cup winning midfielder José Kléberson. A teammate of Strikers co-owner Ronaldo during Brazil’s victorious 2002 FIFA World Cup campaign, Kléberson brings a decorated career and wealth of experience to Fort Lauderdale. The 36-year-old midfielder boasts a resume that includes 32 caps for the national team, a World Cup winners medal, and experience at some of the biggest clubs in the world. After making his professional debut with Atlético Paranaense in 1999, Kléberson quickly became an integral member of the club and earned his first cap with the national team in 2002. He was selected as part of the 23-man squad to represent Brazil in that summer’s World Cup. Kléberson tallied two assists in the tournament, including the pass for Ronaldo’s second goal as Brazil defeated Germany 2-0 in the final. Manchester United signed Kléberson in 2003, one summer after lifting the World Cup trophy. He played in Manchester for two seasons, and joined Turkish club BeÅŸiktaÅŸ in 2005. Kléberson returned to Brazil in 2007, suiting up for Flamengo, Atlético Paranaense, and Bahia before venturing stateside with a loan to Major League Soccer team Philadelphia Union in 2013. 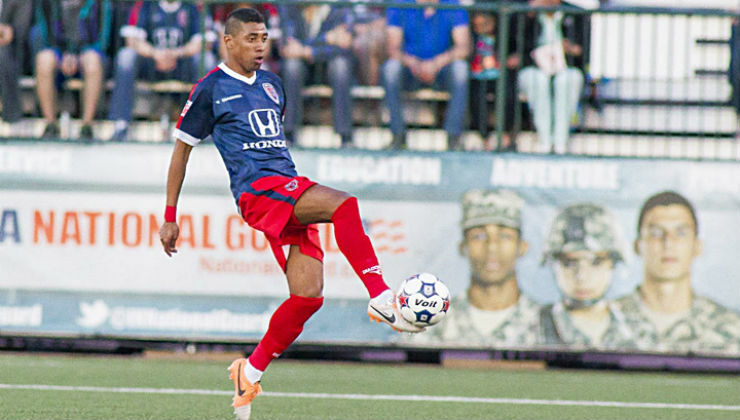 Kléberson was most recently with Indy Eleven. Kléberson will wear the number 8 jersey for Fort Lauderdale.